From crown jewels like the Great Sand Dunes and Black Canyon of the Gunnison, to access on the Colorado River, to community parks and trails in our own backyards, the Land and Water Conservation Fund (LWCF) has set aside and protected special places in Colorado and nationwide for more than 50 years. If you've gone fishing, hiking or camping on public lands, or picnicked at a community park in your area, there's a good chance the LWCF helped protect it. But despite more than 50 years of success, the program will expire on September 30 if Congress doesn’t take action to renew it. Senators Bennet and Gardner have both been leaders in supporting LWCF – but we need Colorado’s House delegation to also step up so that this successful program isn't lost to Congressional gridlock. 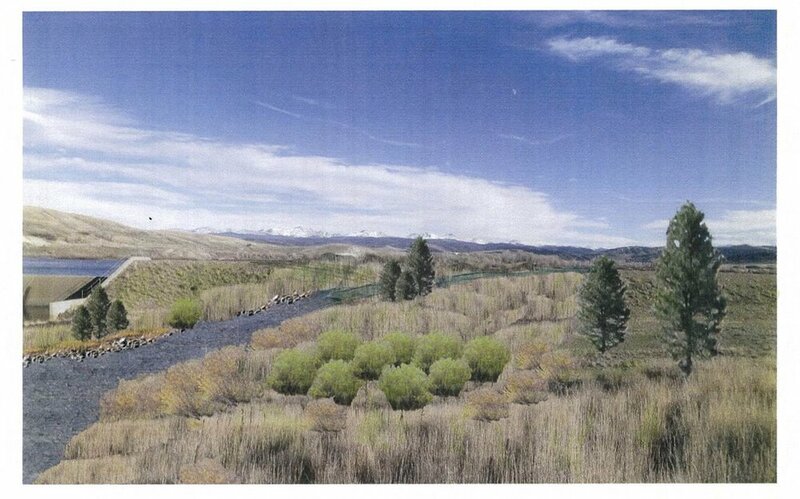 Reconnecting the Colorado River around Windy Gap Reservoir is moving one step closer to reality! The US Department of Agriculture's Natural Resources Conservation Service is conducting scoping on the Colorado River Headwaters Connectivity Project - an initiative of the NRCS along with Northern Water, Trout Unlimited, and Grand County. The project contemplates a bypass channel that will restore the Colorado River around the Windy Gap Reservoir - benefitting water quality, fish passage, aquatic habitat, and restoring an additional mile of the Colorado River by creating the channel around the reservoir. Deadline to submit comments is August 31, 2018. Pebble Limited Partnerships recently applied for one of the major permits they’ll need to mine in Bristol Bay. Filing that application is huge news because it brings their catastrophic proposal one step closer to becoming a reality. Now, we have the first chance for you to weigh in on this process. Pebble Limited Partnerships wants to develop an open-pit mine in southwest Alaska, approximately 17 miles west/northwest of the villages of Iliamna, Newhalen, and Nondalton. They also are proposing a 188-mile natural gas pipeline from the Kenai Peninsula across the Cook Inlet to the mine site as their proposed energy source. These developments would dramatically affect Bristol Bay’s fisheries which are critical to Alaska's economy and culture. Speak up and let The Army Corps of Engineers know that we should protect Bristol Bay, and the businesses and communities these waters support. Add your name and comment below to tell the U.S. Army Corps of Engineers to reject Pebble's proposal as incomplete. Feel free to edit the suggested content. Click the button to take action! We are almost there! The reauthorization of the Colorado Lottery has passed with bi-partisan support through the Senate and now it's up to the Colorado House of Representatives to approve the bill and send it to the Governor for signature. We urge the House to "Keep it Colorado" and pass SB 66, reauthorizing the Colorado Lottery. The proceeds are invested back into parks, wildlife and open space through Great Outdoors Colorado, Colorado Parks and Wildlife, and funding to local governments statewide. The lottery has been a huge source of financial support for public lands and recreation - without depending on tax dollars. By investing in our great outdoors, the lottery helps drive our state's multi-billion outdoor recreation economy - benefiting not only our quality of life, but also supporting jobs and economic development statewide. The Antiquities Act was put in place to protect America’s special outdoor sites. Sixteen presidents, both Republican and Democrat, have used the Antiquities Act to establish National Monuments to be enjoyed by all, now and in the future. Whether you fish or just simply understand the value of clean water, there is no law more important than the Clean Water Act. By Corey Fisher Senior Policy Director for Trout Unlimited Caddis fly blizzards on the Arkansas River in Browns Canyon National Monument. Strongholds of native redband trout in the Cascade-Siskiyou National Monument. Fishing with the ghost of Henry David Thoreau in the Katahdin Woods and Waters National Monument. These are just a few of the reasons Trout Unlimited supports the Antiquities Act and the ability for presidents to use the act to designate national monuments. As national monuments, each of the places will be kept just the way they are today and provide world-class coldwater habitat and fishing opportunities for future generations – or so we hope. Take action to stand up for our National Monuments! On Wednesday, President Trump issued an executive order, Review of Designations Under the Antiquities Act, calling for a review of national monument designations over 100,000 acres since 1996 (or at the discretion of the Secretary of the Interior) and instructing the Secretary to provide “recommendations for such Presidential actions, legislative proposals, or other actions” if determined that a monument should be rescinded or resized. This unprecedented action could have far-reaching implications for America’s public lands and hunters and anglers. Trout Unlimited cautions that the order could lead to the weakening of national monument protections and the Antiquities Act, a law championed by Theodore Roosevelt and used by sixteen Presidents – eight Republican and eight Democratic – to protect some of America’s most iconic landscapes. This review starts us down a path that could jeopardize protected public lands that help to sustain our outdoor traditions, such as Rio Grande del Norte National Monument. In these places, locally driven conservation efforts need to be preserved and celebrated, not questioned. The Antiquities Act has historically been a bipartisan tool for conserving public lands that are part of our natural heritage and important for America’s sportsmen and women. After signing the act into law, President Theodore Roosevelt designated over 1.5 million acres of public land as national monuments, both large and small. Since then, the act has been used to enable long-term conservation of some of the best fish and wildlife habitat and hunting and angling opportunities in the country. When Congress has been unwilling or unable to enact widely supported conservation initiatives, the Antiquities Act has provided a path forward to see these efforts through to fruition. The Antiquities Act is a powerful tool for conservation. Like any tool, it must be used appropriately, but it is important to keep this tool available for those times and places it is needed. For this reason, hunting and fishing groups have been calling on elected officials to uphold the legacy of Theodore Roosevelt and set an example for how the Act can be used responsibly, rather than attacking national monuments and the Antiquities Act. These efforts have included a letter from the CEOs of five national sporting groups expressing opposition to any executive action to overturn a national monument. It remains to be seen what final actions will stem from the review mandated by President Trump’s executive order, but one thing is clear: we must remain vigilant to ensure that some of America’s most cherished landscapes remain protected as national monuments. Read more about national monuments and the Antiquities Act. Take action today – tell Congress don’t mess with the monuments! Own a business? Sign the outdoor business letter to Congress. Read a press release from Trout Unlimited and partners in response to the Executive Order. The Colorado General Assembly is taking up legislation – HB 17-1321 – to authorize the Parks and Wildlife Commission to have the power to set its own fee rates, up to a specified cap, instead of the Colorado Legislature setting all fees. This action would enable them to increase fishing and hunting license fees in order to provide needed funds to maintain fish and wildlife management and to meet growing demands for habitat conservation and for hunting and fishing access. 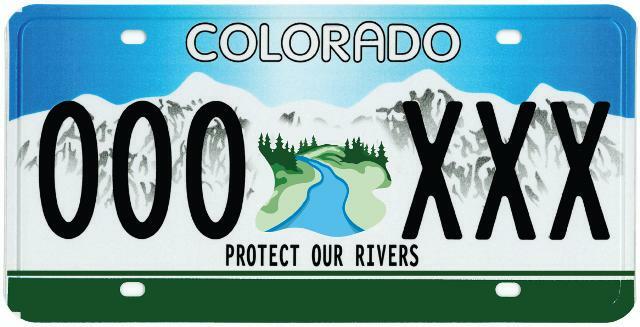 While the bill provides a needed financial boost to Colorado Parks and Wildlife (CPW), it does include limitations on using these funds for fee title land and water purchases – limiting an important tool in CPW’s tool box for protecting habitat, improving stream flows, and securing access. You can help by contacting your state Representative – today – and letting them know that you support increasing CPW funding, and that you believe CPW should retain authority to purchase land and water to benefit fish and wildlife. The most effective way to make your voice heard it to call your Representative directly – using your address, you can look up your Representative and their contact information here. Or you can quickly comment using our email template by clicking here. Colorado TU’s Board of Directors has voted to support HB 1321. Since 2009, CPW has cut or defunded fifty staff positions and sliced $40 million from the wildlife budget. Without new revenue, more painful cuts are inevitable.This bill gives the Parks and Wildlife Commission authority to set fees, within a cap set at a 50% increase from current levels. Importantly, it allows future license fees to be adjusted gradually over time to keep up with inflation rather than needing the legislature to approve larger increases every few years. 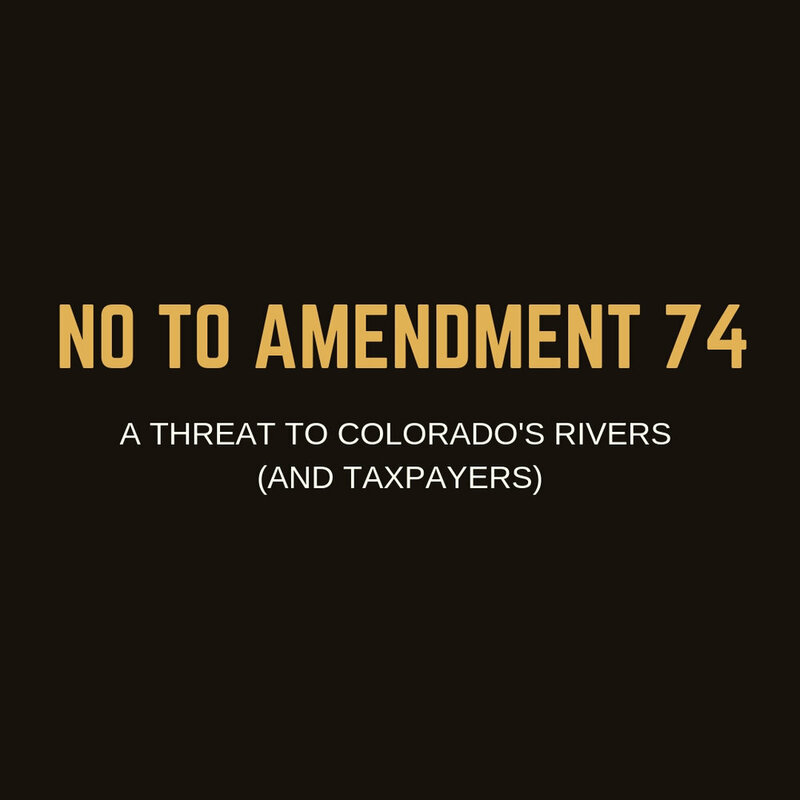 The bill would also allow out-of-state fishing license fees for Colorado to be increased to bring Colorado’s pricing in line with peer states like Montana, Wyoming, and Utah. A senior fishing license (not more than half the regular price) would also be re-instituted. The bill also would add a new sticker and fee program for boats, to help finance inspections for aquatic nuisance species. You can read more about the bill here. While the bill provides much-needed financial support for CPW, it also includes language limiting the agency’s purchase of fee title land and water. While such permanent purchases of land and water are not frequent, they are important – for example for expanding or establishing new state parks, obtaining water rights to benefit fisheries, or protecting key wildlife habitat if a landowner wishes to sell their property rather than putting under conservation easement. Please tell your Representative to support HB 1321’s enhanced funding for CPW, and also to support CPW’s ability to use purchase land and water to benefit fish, wildlife and recreation in Colorado. Whether you fish or just simply understand the value of clean water, there is no law more important than the Clean Water Act. In 2015, the EPA developed a rule that affirmed Clean Water Act protections for “intermittent and ephemeral streams.” Protections for these streams had been threatened by two splintered Supreme Court decisions in the 2000s. These streams —the headwaters of our nation’s rivers —provide us the fisheries we cherish and the clean drinking water we require. But this essential rule is now under threat of being revoked. Urge your state representatives to stand up for clean water! Nearly 60 percent of all of the stream miles in the United States are classified as small, intermittent or headwater. Protecting these waters is essential to ensuring that adjacent or downstream waters remain clear, clean and healthy for fish, wildlife and communities. Trout Unlimited members work hard to protect our headwaters. We understand that keeping our waters healthy is much more effective than trying to repair a stream after it is damaged or destroyed. Take a stand and speak up for clean water!